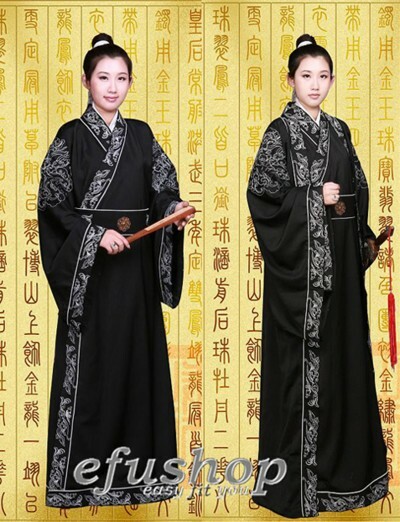 Description: Black cotton mixed linen hanfu dress with embroidery border. This suit is for General Huo of Qin Dynasty. Wear it, you will feel come back to the ancientry.